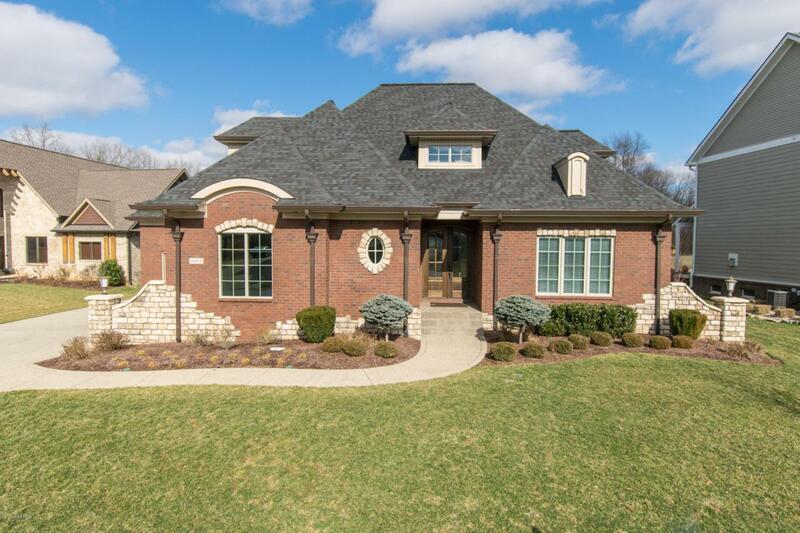 Situated in one of the most desirable neighborhoods in North Oldham County, The Woods of Glen Oaks, this excellent property has everything that you're looking for in today's newly constructed homes. 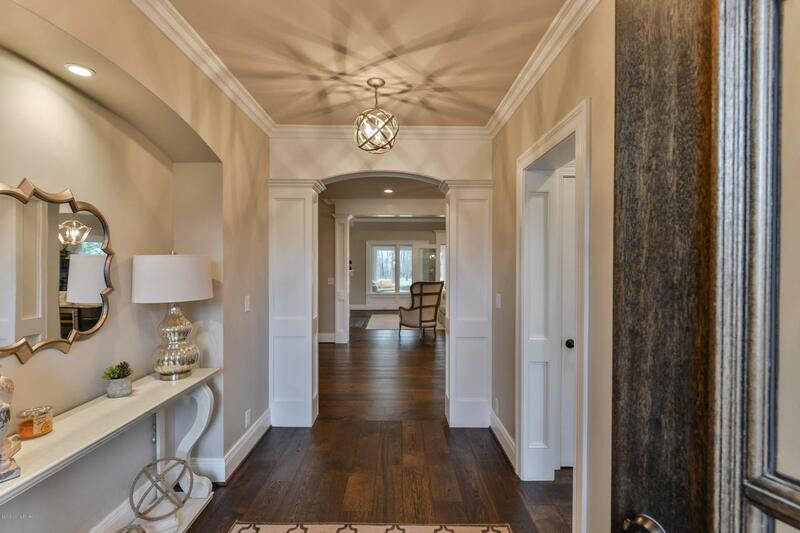 Built in 2015 by Landis Homes, this home features a welcoming foyer with stained mahogany 8' arched double doors, extensive trim, a coffered beam ceiling, wire brushed hardwood flooring, granite countertops throughout, and exceptional fixtures. Centrally located, the kitchen serves as the heart of the home. With custom designed cabinets and a grand center island that overlooks the spacious great room, this home was designed for entertaining. Relax and have your morning cup of coffee in the sun filled Florida room. With a large stone hearth and cozy gas fireplace, this space offers wonderfulviews of the private backyard with woods beyond. The open floor plan was masterfully created and well planned and perfect for family gatherings. The first floor master suite boasts a hip-tray vaulted ceiling, an ensuite master bathroom with a free-standing tub, a sizeable tile shower with a large bench and dual shower heads, double vanities, abundant storage in the walk-in closet, and a coffee bar with your own beverage refrigerator. The laundry room is located near the master closet for time and convenience. The first floor flex room can be used as a guest suite, office, nursery, or craft room. 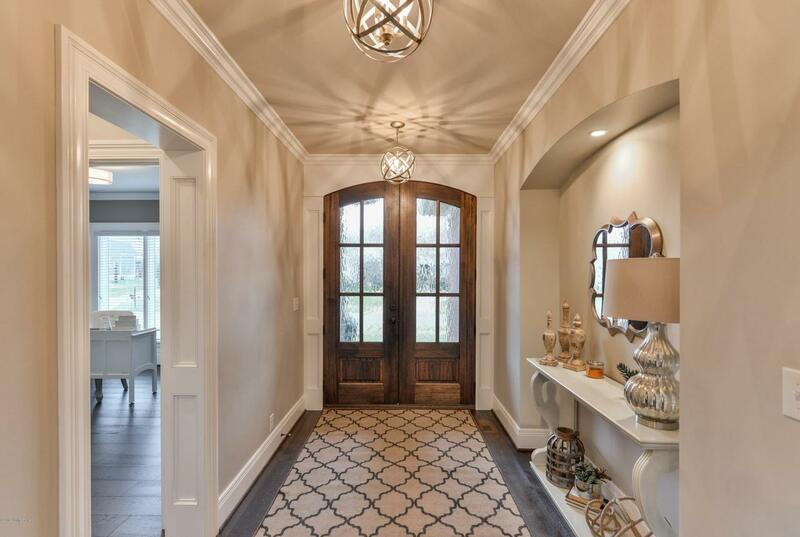 You'll find many upgrades, greatly differing from standard finishes in this home including a mudroom with designated cubbies, and a drop zone desk area for mail, phone chargers, laptops, etc. The lower level is ready to be finished to your taste. With 9' ceilings, there is an abundance of space for a media or family room, an additional bedroom and the plumbing is in place for a bathroom and bar area. Convenient to Glen Oaks Country Club, award-winning public and private schools, interstates, several wonderful restaurants, and the Paddock shopping center. 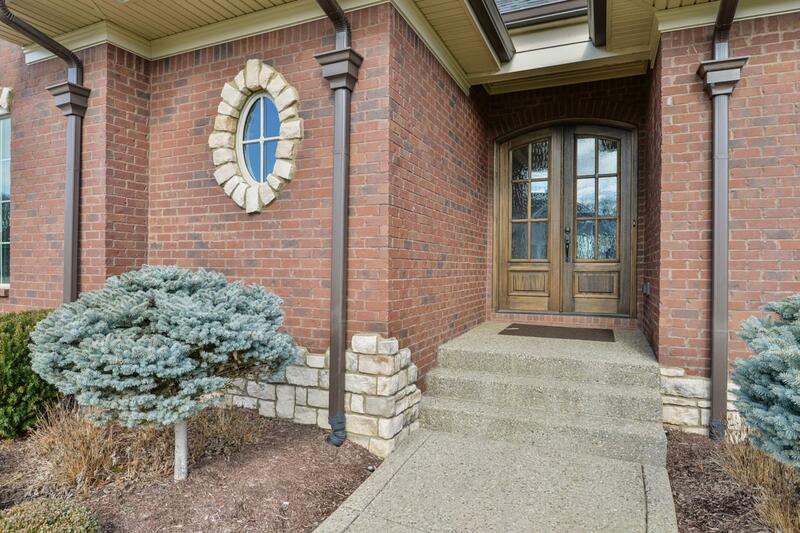 You won't want to miss this easy living, beautiful home.